The moment I landed in Sri Lanka I knew it was going be a great experience. It was going to be a very special trip for me. I remember back in the days how my dad always used to tell me about Kandy and his time spent there as a backpacker. That was almost 40 years ago and he is still dearly in love with the country and its people. Now it was my turn to discover one of the finest places in Sri Lanka. Kandy is about a three hour drive from Colombo Bandaranaike International Airport. The drive will take you through many local villages, up narrow mountain roads all the way to Kandy. The elevation is around 500 meters above sea level and you can see the surrounding mountains and tea plantations most of the time covered by clouds and fog. 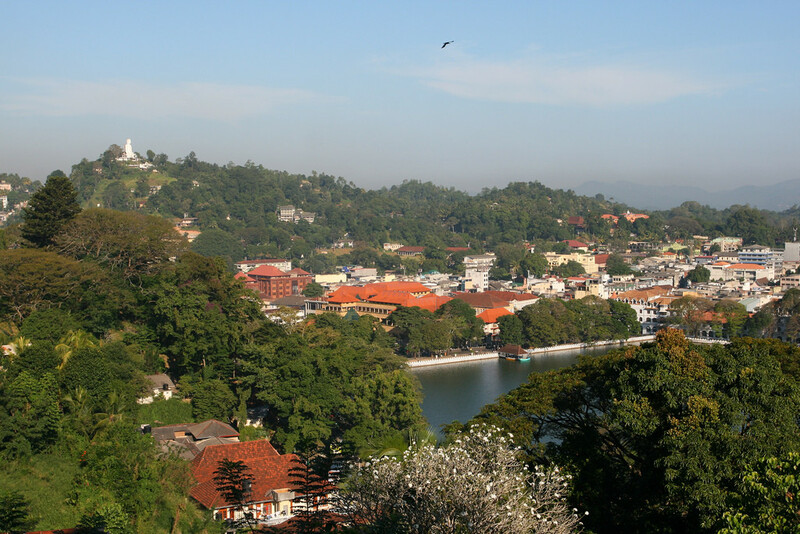 Kandy and its surroundings, known as 'Hill Country', have a lot to offer. It is a place with great heritage and history as it used to be the former capital of the country and where the royal family of Sri Lanka last resided. 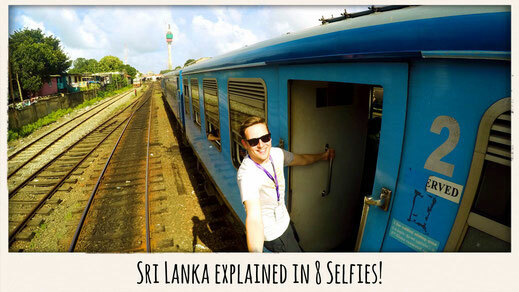 Let me give you the best tips, tricks and places you really need to see while travelling around Kandy. HOW TO GET TO KANDY? You can take a bus from Colombo to Kandy, and if you are arriving into Colombo airport there is a also a free bus shuttle from the airport to the main bus terminal in the city. The bus system may look unorganised at times but just ask someone, the locals are always super nice and willing to help out. The bus trip takes around three to four hours and will cost you around 150 rupees. 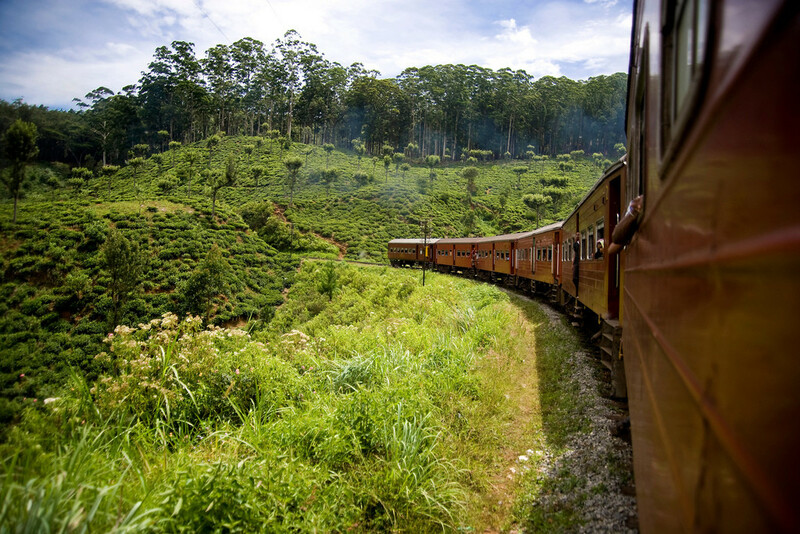 The train journey from Colombo to Kandy is considered as one of the most scenic in the world and you shouldn't miss out. A reservation is needed though and it tends to get crowded, especially on the weekends. A ticket in a Third Class carrier will cost you 220 rupees. If you decide to travel First Class you will be paying 750 rupees. If you're willing and able to pay a little more then a taxi straight to Kandy from the airport is quite convenient. Prices are fixed and you'll be looking at around 6,000 rupees. The main road to Kandy is right next to the international airport so you won't have to face the hassle of having to travel to Colombo first. A rather interesting way to get to Kandy is by an air-taxi. The De Havilland Twin Otter float planes which are operated by Sri Lankan Airlines leave Colombo at 9am from Kelani River, and land at Mahaweli River in Kandy at 9:30am. The trip takes around 30 minutes and a one-way ticket is around 4,900 rupees. The new Kandy Airport is currently under construction and is due to open later this year. A new low-cost carrier called Cinnamon Air will operate a couple of flights from Colombo to Kandy every day. You can also rent a car (prices will vary depending on the type of car) plus a driver for around $300 for an entire week. This is a very safe option if you're planning on taking a couple of day trips from Kandy, for example to Adam's Peak or the Elephant Orphange. Traffic in Sri Lanka is still very far from what you know from back home. The driver will take care of his own accommodation and food. Why? Because the tooth is only presented to the public every five years and then only for five hours out of the day. After that, you'll have to wait another five years. The next scheduled year when the relic is shown is 2015. 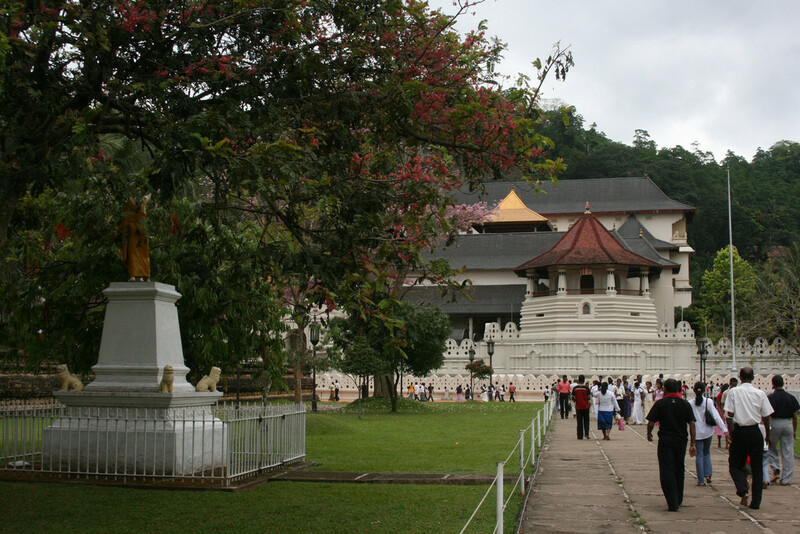 This is the day when around 100,000 pilgrims from all over the world are expected to visit Kandy just to get a little glimpse of what people believe to be Buddha's tooth. The Buddhist Temple is located right in the heart of Kandy in the former royal palace complex, just next to the famous Kandy Lake. It can be visited every day from dawn to dusk. The entry fee for a foreigner is 1,000 rupees. Make sure to wear pants and to cover your shoulders. But don't worry you can buy or rent a sari in front of the temple. To be honest Botanical Gardens usually bore me to death because barely anything happens there. Old people or nerds usually mingle around such places and I find that a sort of 'zoo' for plants isn't really my cup of tea. But this one is actually pretty awesome. It's kinda like an animal farm too. You get to spot many monkeys and little chipmunks. That's pretty cool! But the absolute highlight are the flying foxes, the massive bats hanging from the majestic trees around the garden. I must have stopped counting after 1,000 I guess. It's amazing to see those creatures and they are really interesting animals. Love it. 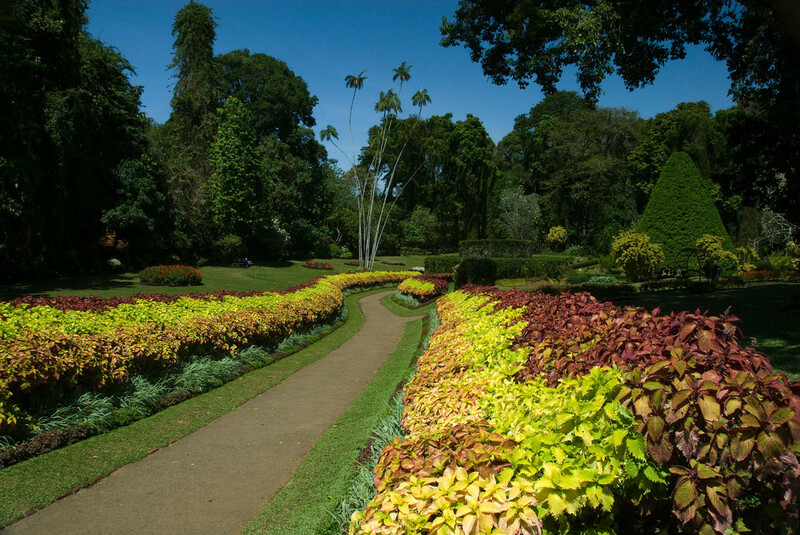 The British changed the appearance of the gardens during their colonisation. Many famous people such as Queen Mary, Gandhi or the Crew of Apollo 12 have planted trees in the Memorial garden. It's really amazing to see. A lot of young people hang around the park and I truly enjoyed my visit more than I thought I would. The entry fee is 1,100 rupees. The Seat of Arthur is a nice lookout right in the city. 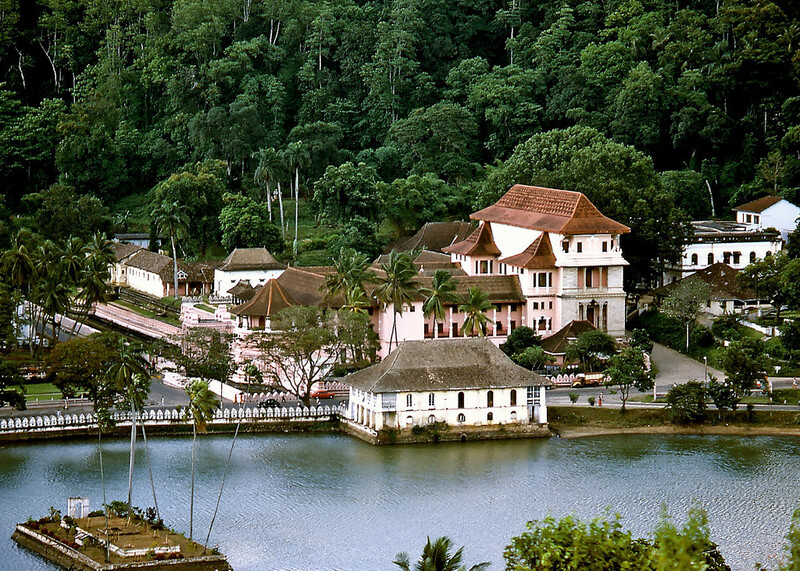 From there you can overlook Kandy Lake, the Temple of the Tooth and the former palace of the Royal Family. You can also spot the big Buddha recently erected on the top of the mountain. It's a beautiful lookout and while you can take cool photos you won't be able to occupy your entire day there. 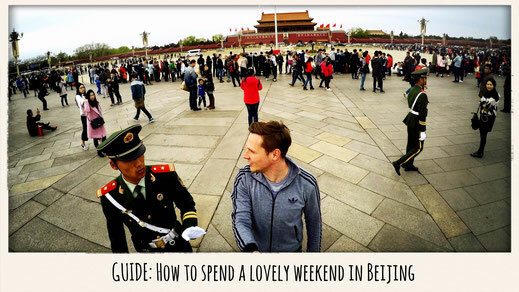 Enjoy the view, take a few cool snapshots and maybe continue to the local markets just down the hill. The colours, smells and hustle and bustle is definitely worth it. I had ceylon tea in Kandy all the time. It is sensational and I could have had it for breakfast, lunch or dinner. Actually, I could have drunk tea all day long. 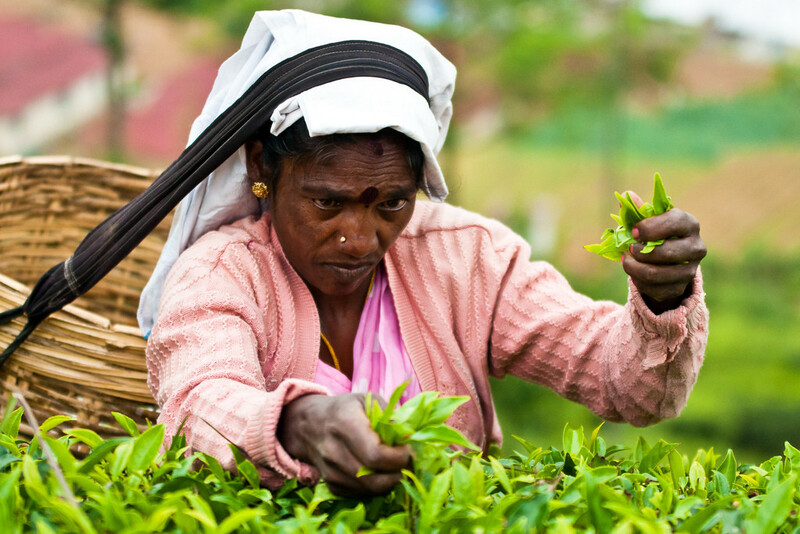 You should combine your visit to Kandy with a trip to the tea plantations nearby and understand how the whole industry works. The tea plantations are still very traditional and due to the steep, mountainous terrain no heavy machinery can be used. All the tea leaves are still picked by hand and it's a very interesting experience to actually see how much hard work it takes for the tea to find its way into your cup. Make it a day trip and discover the Haputale and Nuara Eliya tea plantations. They are the most popular ones to visit around Kandy and is just a short drive away. The staff will greet you with a warm smile and they are always happy to see visitors coming by. 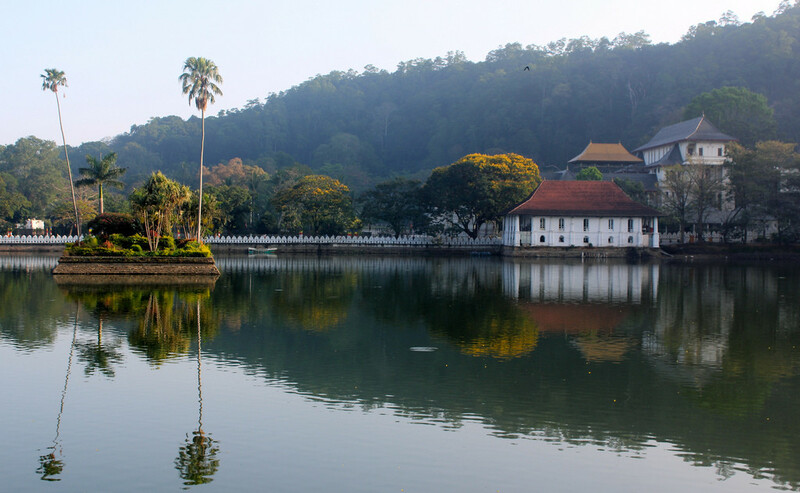 The lake is undoubtedly the heart of Kandy town. The city was built around the lake and most of the city's hustle and bustle happens around it. The local markets, schools, shops, restaurants and hotels all encircle the lake. Kandy Lake is very vivid place with heaps of flora and fauna surrounding it. To my surprise, the body of water was clean and didn't have a nasty smell at all, something I couldn't say about many ponds or lakes in India. Many bats and crows live around the lake and you can see lots of locals enjoy the scenery as well. It's a beautiful place to stroll around and make new friends and socialise or just relax. Kandy is a great place to be discovered by foot anyways. Due to its high elevation and the surrouding mountains the climate is quite pleasant and it doesn't really get too hot in the summertime. WHAT TO SEE AROUND KANDY? Some people say it can seem like a very sad place and others think it is a great place. I personally think it is an okay place. First of all, I think elephants are magical creatures and I really enjoyed being around them. 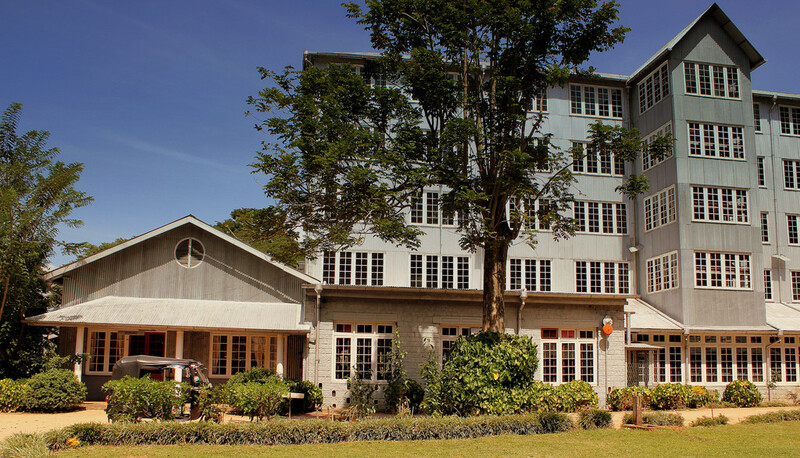 The Pinawalla Orphanage is approximately 60km from Kandy. It's a one hour drive back towards Colombo and you can easily make a day trip out of it. Buses also travel there from Kandy or you can take a taxi or a tuk tuk for about $30. 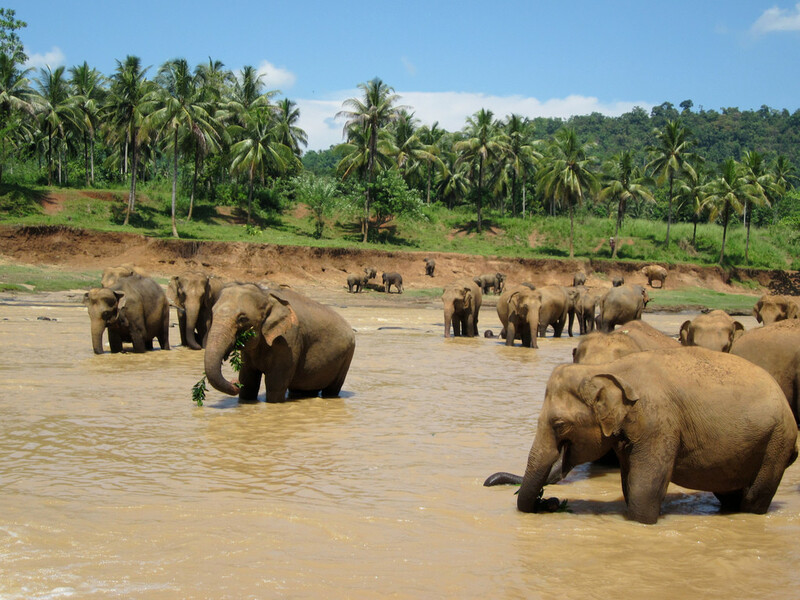 The elephants spend most of their time bathing in the nearby river. The whole herd leaves the orphanage at 10.30am for a dip in the river for a couple of hours and then heads back to the orphanage. It's really funny to see how all the big creatures interact with each other and then slowly walk back to the orphanage. An hour later, it's feeding time. The entry fee is 2,500 rupees which apparantly goes entirely towards caring for the elephants. Some of them are chained and it is kinda sad to see. Also the bottle feeding of baby elephants is a big tourist trap. Little baby elephants are chained to a pole and a bunch of tourists throw themselves on them just to place a bottle of milk in their mouth. That's when I decided to leave because that wasn't really my cup of tea. Otherwise it is a nice place to encounter with those majestic animals. 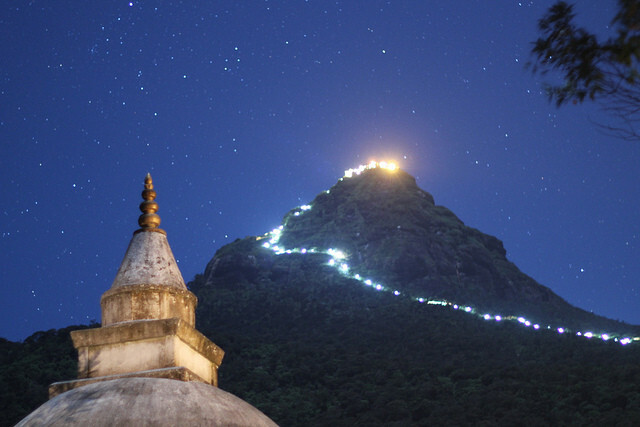 Adam's Peak, or 'Sri Pada' as it is known by locals, is an experience that you should not miss if you have the time and determination to do so. Sri Pada is known as one of the most sacred mountains in the world to several religions, as it features a rock formation that is considered to be the footprint of Buddha for Buddhists, Shiva for Hindus and Adam for Christiams and Muslims alike. There are approximately six thousand steps to the summit from the popular base town of Hatton, most of them quite steep near the top. Hatton is around a 3-4 hour drive from Kandy, depending on the traffic. Most pilgrims stay the night in Hatton, then begin the climb at 2am to reach the peak at sunrise. The climb will take around 3-4 hours, depending on how fit you are! There are plenty of tea and food stalls throughout the climb, but the prices of water and food will increase the higher you go on the mountain, as the poor vendors have to carry it all up there themselves! The temple at the summit is simple but beautiful, and there is a bell that you are encouraged to ring depending on how many times you've made the pilgrimage to the top. Some people were ringing it over twenty times! Incredible. The view of the sun rising at the summit is totally breathtaking. 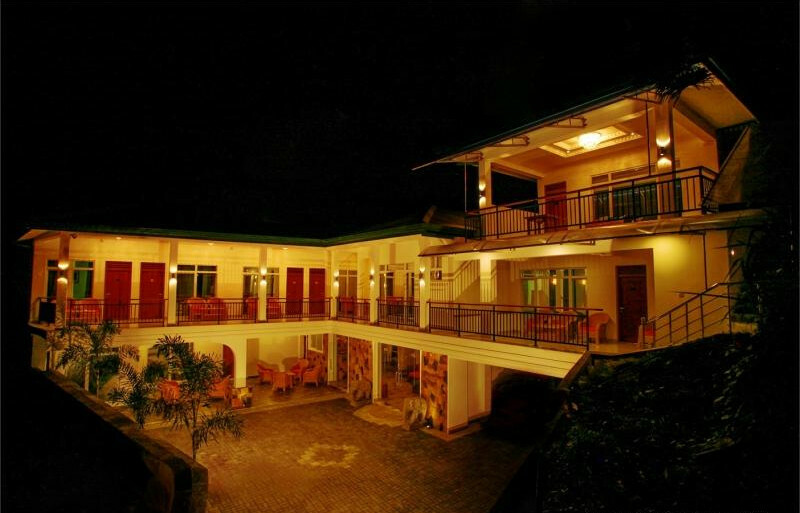 Nuwara Eliya is a 90 minute drive from Kandy and also known as Little England. It was founded by Samuel Baker, the same guy who discovered the source of the Nile and Lake Albert. It is located on an altitude of 1,800 meters and considered as the heart of Sri Lanka's tea plantations - the tea capital. Back in the days many Englishmen came here to hunt or play cricket and polo and to date there are still a lot of beautiful colonial architecture within the town. It was a home away from home for many Brits. 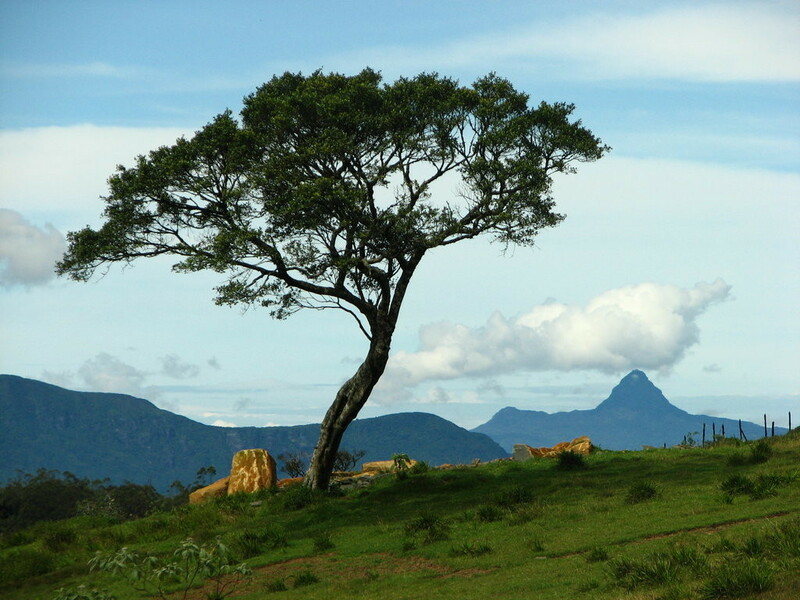 From there you can also see the peak of the highest mountain of Sri Lanka, the Pidurutalagala. It is a beautiful place and it's really worth the drive there. 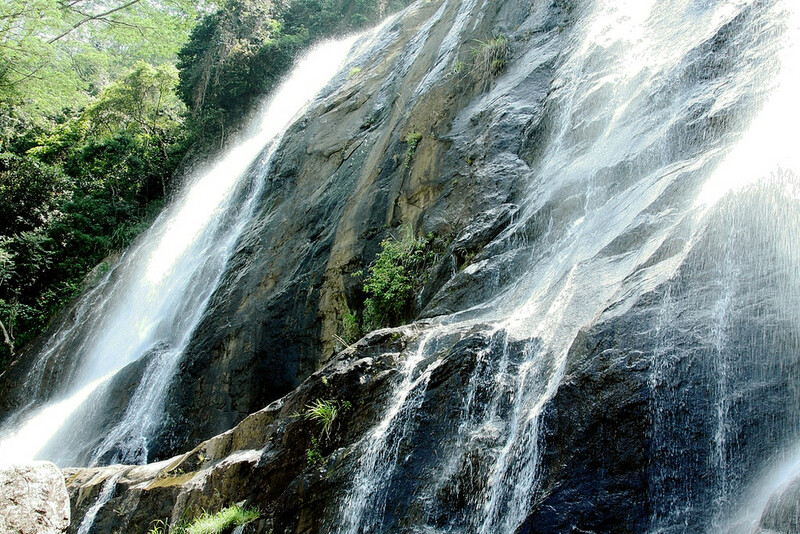 Hunas Falls is only a one hour drive away from Kandy, and is a little hidden gem amongst the mountains. The drive to the falls itself is really picturesque, through small tea plantations and lush green countryside. There is a small fee of 300 rupees per person to visit the falls, which goes towards the maintenance of the falls itself and the gardens. The small waterfall is not that majestic but is pretty enough, but what makes it special is the background and splendour of Hill Country in the background. There's also a freshwater pool at the bottom of the waterfall that you can take a nice little swim in! The gardens are filled with tea bushes and cinnamon and passionfruit trees. It's definitely worth the short trip from Kandy. I had to find a hotel for a whole week and I was glad that I decided to stay at the Hotel Traveller's Nest in Kandy. It is a brand new property and very charming place as well. It has cozy rooms and a veranda to die for. But the biggest asset to the place is its staff. They will treat you like family and look after everything you need, and always with a bright smile. It made me feel super welcome and I can honestly say that this place is one of the nicest places I've ever stayed at. 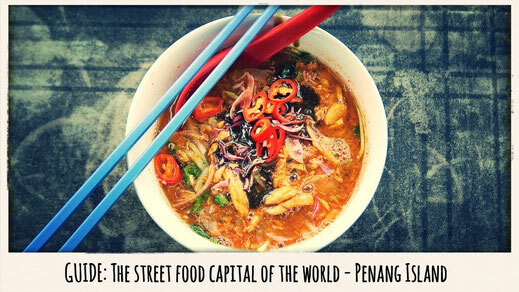 Find more info here -> Traveller's Nest.